Complicated. Tedious. Confusing. When recording drums there are so many choices to consider. What microphone do I use? Where do I position each mic? It can be a train wreck to your creative process. And when you’ve scheduled time with your band to record, you want don’t want to get bogged down with the technical setup part. You want to get into the creative music making part as fast as possible. Capitalizing on your creative energy. My general approach to life is “simple always wins”. It makes life more enjoyable and less stressful. When working in the recording studio this is how I survive. 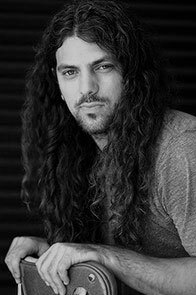 And how much better does it get that Brendan O’Brien, the producer/engineer behind such awesome rock bands as The Black Crowes, Perl Jam, Soundgarden, and Red Hot Chili Peppers, has a two-mic setup that he recommends for getting killer sounds? 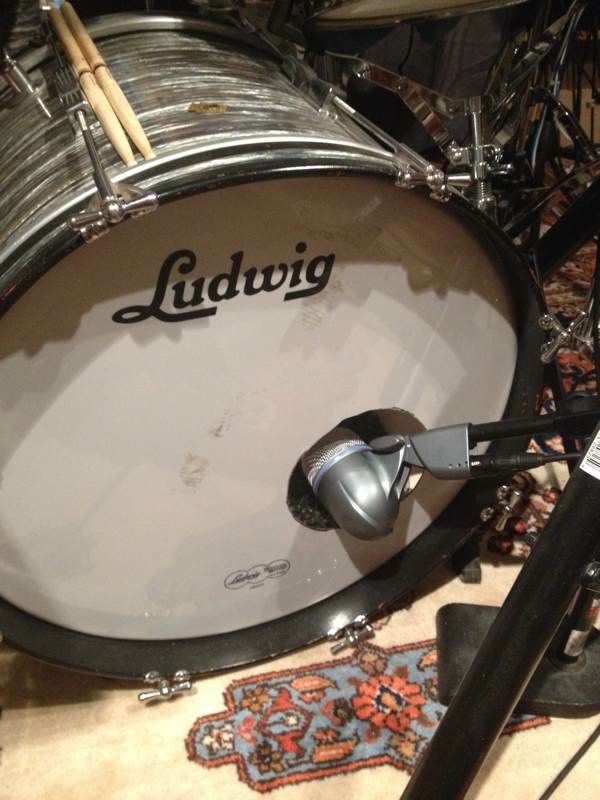 Use one mic as a close mic for the kick drum. The most typical and predictable position is partially inside the sound hole of of a bass drum with a ported front head. Place the second mic about 5 feet high and 3 feet out directly in front of the drums, kind of like if you were standing in the live audience, directly in front of the drums at a small club. You want to capture the overall sound of the kit with this position. While O’Brien does make some particular microphone recommendations, his suggestions are very pricey vintage choices that cost thousands of dollars to get your hands on. 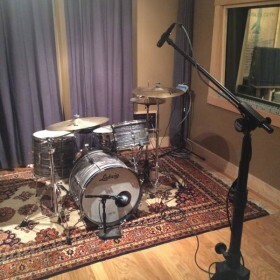 Instead of obsessing over exactly what mics are best for recording drums, focus on getting the drums to sound good in the room. Then get into the creative process as quickly as possible. 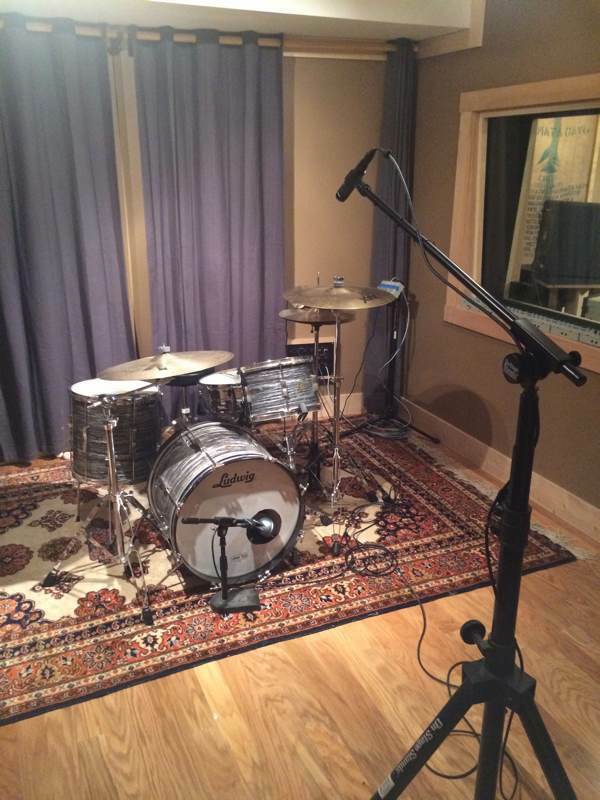 Recording great sounding drums doesn’t mean you have to use a ton of mics. Great sounding drums start with exactly that… great sounding drums… That is to say, if the drums don’t sound great in the room you’re recording them in, they won’t sound good once they’re recorded. Once you’ve got your hands on a good set of drums (honestly not that hard to come by with so many quality manufacturers these days), and you have a good drummer on hand, grab a couple mics and set them up like a hit producer/engineer. I’d like to know what record you think (or heard that) Brendan only used 2 mikes on the drums. The simplest setup I know of is the 3 mikes for Pearl Jam’s Versus. Explain yourself! Hey, Alexan! Not sure about exactly what specific records Brendan O’Brien may or may not have used this two-mic drum recording set up on. All I know is that he has a two-mic setup he uses sometimes. Point is, it’s a simple setup that anyone can use to get a good sound fast and easy, so that they can focus on the creative process of recording. Check out “The Recording Engineer’s Handbook” by Bobby Owsinski, as he also talks about this particular mic setup.